Just about 97% of mobile text messages are read, and most within 10 minutes of sending. The average fan under 30 sends/receives around 3,000 texts a month. Text Message Marketing is a direct, personal, and effective marketing tool to reach your fans! 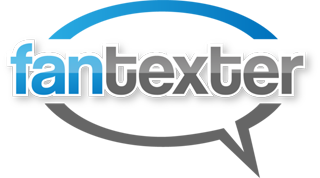 Text-to-win campaigns – Fans can text to enter themselves into the drawing or contest giving your fans instant gratification. Subscription text alerts – Using a simple text message, keeping your fans in the loop with updates, news, and notifications have never been more efficient and easier. Text Survey Polling – Need answers from your fan now and not next month? Survey Polling allows you to interact with your fans and receive answers almost instantaneously via text message. Campus marketing – Get your message across the fastest and most efficient way. Text message marketing is quickly surpassing the results generated by any other marketing campaign. Client notification systems – Important notifications, alerts or news requires the most efficient way to get your message across, no need to worry about your fan’s location or connectivity. In today’s social environment it is almost certain that your fans carry their cell phones anywhere at any time.